From launch, there are only two versions available, both of which top the £100k price mark. 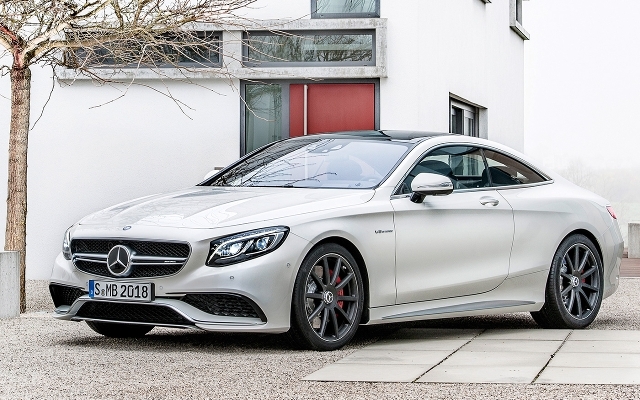 The cheaper of which, the S63 AMG Coupé, has a 5.5-litre V8 engine that has previously been seen in the S-Class Saloon. It outputs 585hp and can do a 0-60 in 4.2 seconds. Going up the price range further still finds you the 6.0-litre S65 twin-turbo V12 AMG Coupé which outputs 630hp and hits 60 in 4.1 seconds. If these two models don't appeal, there is an entry-level S500 AMG Line variant of the S-Class Coupé due to arrive in early 2015. This variant will be powered by a 4.7-litre V8 that will output 449hp and is expected to cost around £96,565 OTR. Standard equipment on any of these models include a 12.3inch TFT display, COMAND Online, a panoramic sunroof and Magic Vision Control. The S63 AMG adds features such as the Seat Comfort Package, Magic Body Control and a Surround sound speaker system with 13 speakers while the top-of-the-range S65 adds a 360 degree camera, Head-up display and Night view assist among other features on top. A premium package is also expected to be available for the S500 which will add 20inch alloy wheels, Seat Comfort Pack, air-filtration system, 360 degree camera and Keyless-Go. We now have rates for this model here on Compare Contract Hire from leasing company Days Contact Hire.